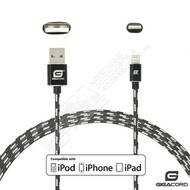 Gigacord ClothARMOR iPhone/iPad/iPod Lightning 8 pin Charge/Sync Cable w/Strain Relief, Cloth Braiding, Ultra Slim Aluminum Connectors, 1 Year Warranty, Black/White (3 - 10ft.) - NWCA Inc. Lightning Charge & Sync Compatibility: Lightning 8 pin connectivity makes for a variety of compatible Apple devices such as iPhone 7/7 Plus / 6s / 6s Plus / 6 / 6 Plus / 5s / 5c / 5, iPad Air / Air 2, iPad mini / mini 2 / mini 3 / mini 4, iPad (4th generation), iPod nano (7th generation) and iPod touch (5th generation). 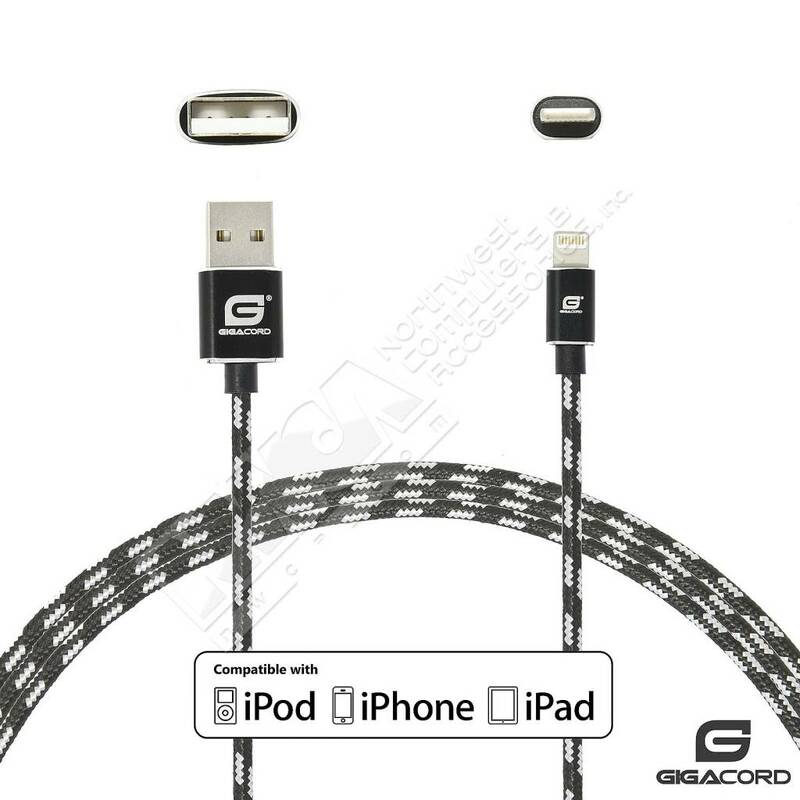 The Gigacord ClothARMOR cables ensure a lifetime connection for fast charging and high data syncing capabilities for a variety of Apple devices. Ultra Slim Aluminum Connectors: Ultra slim connectors fit cases of all types with ease. Thick cases are no match for our ClothARMOR cables! The aluminum construction also provides durability for a solid connection every time.